Cairns is located between two of the world's most beautiful land and sea sanctuaries so there are a number of amazing and truly spectacular Wildlife Experiences that you can take part in. Meet koalas, wallabies, kangaroos, exotic fish, endangered bird species and colourful butterflies. 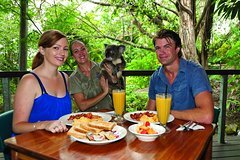 Start your day with a trip to the Tropical Zoo for breakfast and watch the wildlife frolic in their habitats and then at night visit the Cairns Night Zoo for a BBQ dinner where you can dine with kangaroos under the stars. 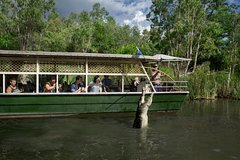 While you're up Far North Queensland you must take time to visit with a couple of crocodiles. They're big up here and offer a unique and a little scary croc experience! Cairns Wildlife Dome in your Zoo in the City! One of the leading zoos in Australia, Cairns Wildlife Dome is a spectacular all-weather wildlife exhibit enclosed by a 20 metre high glass dome on top of Cairns’ iconic Reef Hotel Casino. Immerse yourself in a tropical rainforest environment watching birds such as parrots, cockatoos, lorikeets, doves and rosellas fly freely around you! Get up close to cute rainforest animals as they roam freely through their enclosures. 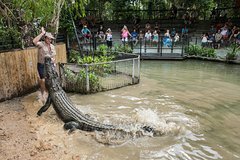 This half day tour from Cairns will take you to the popular Hartleys Crocodile Adventures park - the best place to see crocodiles in tropical North QLD! This highly regarded wildlife park features not just the largest collection of crocodiles in captivity in Queensland, but also a huge array other animals such as snakes, kangaroos, wallabies, koalas and much more - the majority of which you'll be able to touch for yourself. This tour will take you directly from your Cairns accommodation to the park. At the award-winning Rainforestation Nature Park, you'll get to experience indigenous culture, Australian native wildlife and World Heritage listed rainforest all on one site. The Koala & Wildlife Park lets you experience native Australian animals including crocodiles, wombats, dingoes, snakes, lizards, frogs, and the cassowary. Hand-feed kangaroos and wallabies, observe the tiger quoll, or have your photo taken cuddling a cute koala, or holding a small crocodile (optional extra). One would think it wasn't possible to view over 1500 spectacular species of tropical butterflies in just 20 minutes but the Australian Butterfly Sanctuary offers guests just that. Walk through the biggest free flying butterfly enclosure and gaze upon the rainbow of colours these creatures make. The icon of the town is the Ulysses Butterfly which is a brilliant electric blue and make sure you also find the fluoro green and yellow of the Cairns Birdwing. Perhaps Australia's most iconic animal, the koalas are at their best at Koala Gardens in the heart of Kuranda - the combination of animals and environment make for a great day out for both adults and families with kids alike! Three enjoyable Cairns wildlife attractions for one low price - what's not to love? Visit all three of Koala Gardens, Birdworld Kuranda and the Australian Butterfly Sanctuary for one of the most comprehensive and best value wildlife experiences available in tropical north QLD. Cockatours is operated by Rossy, a local who has lived in Cape York for several years, and has ran ecology projects in the Cape for several years. Rossy's background in ecology, his passion for sharing history and his connections with Indigenous groups in Cape York present experiences and opportunities hard to come by elsewhere. 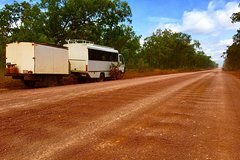 As Cockatours is owner-operated, we have the flexibility to make spontaneous decisions for the best and there's always a small touch of adventure along the way somewhere. Most importantly, Rossy is compassionate and respectful and loves sharing his knowledge and the experience with everyone on board. We become a family on tour! 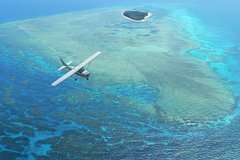 Glide over Coral Islands such as Green Island, Arlington Reef, Michaelmas Cay and Vlasoff Cay and Koala Reef on this 45min Great Barrier Reef scenic flight departing from Cairns. Enjoy unobstructed views with guaranteed window seats as you take in the stunning scenery with your professional pilot, an experience not to be missed. Hop aboard the Kuranda Riverboat and cross the Barron River to a secluded rainforest clearing where you will be taken on an interpretive walk through a section of beautiful tropical rainforest. 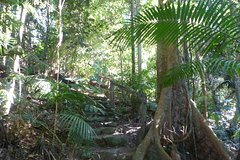 With a guide, walk along an established forest trail, and see the variety of rainforest trees, vines, lianas, and ferns. Keep your eyes open for native wildlife as well, such as a cassowary. After the walk, tea/coffee and cake is provided in a covered outdoor tea room. Select a morning or afternoon departure time when booking. 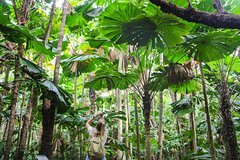 Enjoy a guided rainforest walk through Mossman Gorge, a cruise on the Daintree River, delicious tropical lunch set amongst the rainforest, and a walk on famous Cape Tribulation Beach. Stop at the Daintree Ice Cream Company for a refreshing fruit ice cream before returning home. 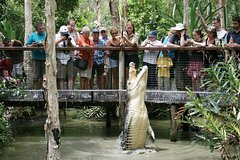 Explore Hartley’s Crocodile Adventures, an award-winning eco-tourism attraction located between Cairns and Port Douglas. Cruise the wetlands to see crocodiles lazing on the riverbanks and witness the stealth and power of these prehistoric animals at the Crocodile Attack show. 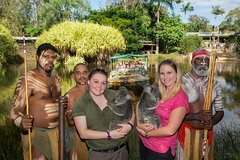 This innovative wildlife park has five distinct zones, showcasing Australian wildlife in their natural environment. Enjoy guided walks, keeper-talks, animal shows and a behind-the-scenes look at crocodile farming. Take a full, 11-hour day tour, and explore the very best of North Queensland. 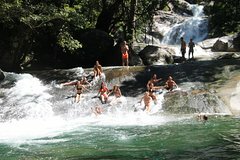 From lush tropical rain-forests and cascading waterfalls, to natural rock-slides and hidden waterfall caves. Filled with fun, full of laughter and music with just the right amount of interesting local commentary. Your guide is the most knowledgeable and passionate in the region. Morning, afternoon tea and lunch is included along with loads of games and puzzles to keep you entertained on the bus. This is a group tour with a maximum of 27 people per bus. 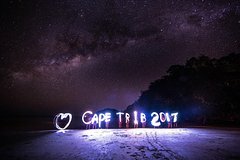 Enjoy a 2-day guided tour of Cape Tribulation and Daintree Rainforest from Cairns, Palm Cove, Northern Beaches or Port Douglas. Explore the stunning views of the Mossman Gorge, the Marrdja Botanical Boardwalk and the gorgeous landscapes. This tour includes overnight accommodation, transport by an air-conditioned coach and hotel pickup and drop-off. Learn all about five Australian native animals by joining Zootastic at Hartley's Crocodile Adventure as an exciting addition to your half or full day visit to Hartley's. There's time for taking photos and hearing about the habits of each of the animals during your visit. You will even receive a complimentary souvenir photo from the day. The Zootastic experience is interactive, informative, and and most of all, fun. Experience an exclusive encounter with one of the biggest reptiles in the world with the big croc feed at Hartley's Crocodile Adventures. Pole feed a huge crocodile yourself and see the big croc jumping for your bait, an experience you'll never forget. In this exclusive tour, you will enjoy a personalized guided experience with a senior crocodile handler and will learn interesting facts on crocodiles. You will have an opportunity to hold a juvenile estuarine crocodile and receive a complimentary digital photo souvenir of you doing so. When your cruise ship docks in Cairns, take an opportunity to visit Hartley's Crocodile Adventures. You can see crocodiles, koalas, kangaroos, wallabies, cassowaries, and other Australian wildlife icons. Spend a day at Hartley's and enjoy entertaining and educational wildlife presentations throughout the day. This tour is customized for cruise ship passengers. Departure time from Hartley's Crocodile Farm depends on the ship departure time from the port. You will be advised after you have confirmed your ship re-boarding time. Enjoy a day trip from Cairns exploring Paronella Park, the largest open area museum in Queensland, Historic Village Herberton, Granite Gorge to see wide wallaby. Start your day at 8am and finish at approximately 6:30pm. Your day trip includes a local expert guide who will ensure you enjoy a fun and relaxed day, all admission fees for different location. 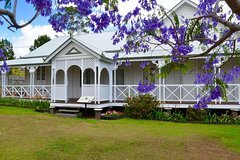 Arrive at Herberton Historical Village at approximately 10am. 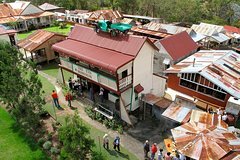 Explore the Herberton Historic Village collection currently featuring over 50 original out house buildings with intact interior displays, original machinery and vehicles, plus thousands of antique items and period memorabilia. Next, visit Kuranda Village where you can enjoy a rainforest walk and take a scenic view of Barron River. From the art gallery to the different kinds of markets and boutiques there’s something for everyone; vibrant hand crafted silk and cotton clothing, to exclusive jewellery, locally made aboriginal arts and crafts and souvenirs made from crocodile and kangaroo hide. End your day aboard Skyrail Rainforest Cableway, a world first in environmental tourism taking you on an amazing experience over Australia’s World Heritage listed rainforest canopy and deep into the forest. 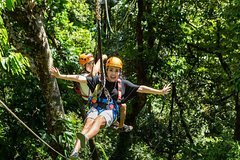 Zipline through the UNESCO World Heritage-listed Daintree Rainforest and get up close to native Australian wildlife on a fun-filled day trip from Cairns, Palm Cove or Port Douglas. After hotel pickup, visit the Port Douglas Wildlife Habitat and see Australian wildlife, such as the endangered cassowary, and enjoy a tropical picnic lunch in the Daintree National Park. Then, spend the afternoon soaring over the treetops on a zipline adventure, where you’ll take in views of the rainforest below and out to the Great Barrier Reef and cruise along the Daintree River. 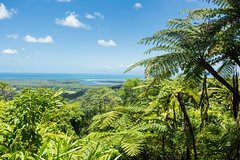 Explore Cape Tribulation and the Daintree Rainforest on a two-day adventure from Cairns or Port Douglas!. Explore the world’s oldest rainforest in Daintree, and spot crocodiles as you cruise down the Daintree River. 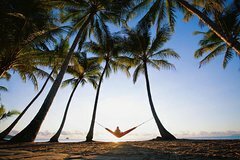 One night of accommodation and one lunch are included, and you can upgrade to include a Great Barrier Reef snorkeling safari and Daintree Rainforest zipline tour. Select from four-bed quad or twin-share private cabin accommodation, and enjoy personal attention from your guide on this small-group two-day tour, limited to 24 people. See Australia's unique animals and birds in their natural environment on a rainforest wildlife-spotting tour in the Atherton Tablelands. Led by an expert nature guide, your small-group nocturnal tour visits a number of locations including lush tropical rainforest and a volcanic crater lake. See tree kangaroos, lizards and musky rat kangaroo by day, and search for platypus at dusk. Enjoy afternoon tea at Lake Barrine and dinner at a country restaurant, then go spotlighting for possum, bandicoots, owls, bats and tree kangaroos by starlight on this fascinating nocturnal wildlife tour. Spend an exciting evening on a four-wheel drive night tour in the World Heritage-listed Kuranda Rainforest. 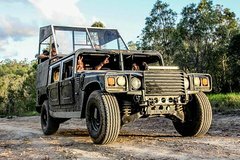 You’ll experience life in the Australian outback with a campfire and barbecue followed by an adrenaline-pumping tour of the rainforest in the most powerful and safest off-road vehicle ever built–the Hummer. After exploring the rainforest, you’ll cross the Atherton Tablelands to Granite Gorge where you’ll see wild kangaroos in a nature park, and maybe even give them a snack! Small group tour limited to 20 people ensures personal attention from your expert guide. Spend the morning at Port Douglas and afternoon at Hartley’s Crocodile Adventures. A combination of relaxation and interaction with wildlife! Pick up in the morning from your hotel in Cairns with entertaining commentary. Enjoy a day trip of Hartley's Crocodile Adventures with an English speaking guide. 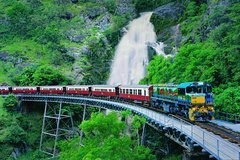 Venture into Kuranda, an astounding village in the rainforest, by train. Relax on a scenic ride aboard the Skyrail Rainforest Cableway. Wander into the markets and shops of Kuranda to take home a souvenir. Witness an array of saltwater crocodiles at Hartley's Crocodile Adventures, which is the largest zoo and residence for Aussie animals. Enjoy transportation in a comfortable air-conditioning coach with entrance fees and tickets included.